...Nah, I'm not going to tell you! You have to read it to find out! Suffice it to say that this is a book with a surprise every couple of pages. (That squid came at me from out of the blue!) It's a book about the essential nature of well-known animals, about disguises, and about surprises. I can imagine this book making Franki's Million Times list, or Bill's Picks From the Pit. Below are two sessions I was a part of for NCTE 2011. One was as part of a panel on Digital Reading. I had a great time working with Sara Kajder, Teri Lesesne and Donalyn Miller on this one. I learned so much from each of them and loved thinking together. My specific piece was about digital tools and how we can use them to create opportunities for deeper reading. When I uploaded the slides onto Slideshare, some of the text was cut off but I think you'll get the general idea. The other session was one I did with Becky McCraw and Bill Bass. 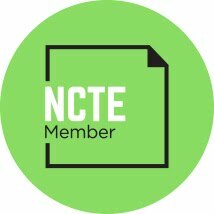 When I served on the NCTE Executive Committee a few years ago, Bill and Becky and I were part of a group that helped to create the Framework for 21st Century Curriculum and Assessment. I feel lucky to have ongoing conversations with these two and others in the group about our work in schools around these ideas. One thing we've been talking about is the idea of mentor texts in a digital writing workshop so we shared our current thinking together at NCTE's convention. 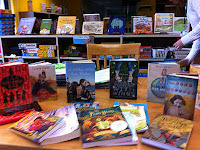 At NCTE, I was thrilled to pick up a box full of 2012 middle grade and young adult ARCs. But when I got home, I realized how many 2011 titles I still had on my to-be-read list. I know myself as a reader and once I dig into the 2012 books, I won't take the time to go back to many of the 2011 books. Once 2012 starts, new books will be coming out fast. I am dying to read Kate Messner's upcoming EYE OF THE STORM (which looks FABULOUS! ), but am trying to wait to get some more 2011 books read. Since this blog began as a way for Mary Lee and I to share our thinking around and to predict Newbery winners, I made a list this weekend and there are about 20 that I'd love to read before the new year begins. I won't get to them, but thankfully, my Twitter friends are helping me prioritize. Over Thanksgiving weekend, I was able to finish 3 middle grade novels and I loved all three of them. If you know Jennifer Holm, then you know that THE TROUBLE WITH MAY AMELIA will be a good book. As Betsy Bird says in her review of this book, "Yet thus far Ms. Holm has remained fairly dud-resistant. There’s a level of quality to her writing that pleases consistently" This is the 2nd story about May Amelia. From what I understan, you should read the first one first. But I didn't do that and this one totally stands alone. May Amelia lives in a houseful of brothers and is constantly getting into a bit of trouble. This books is filled with the stuff of real life. I found myself laughing on one page and then crying on the next. May Amelia is a character that I fell in love with in the first few pages of the book. I discovered THE UNWANTEDS by Lisa McMann on several Mock Newbery lists. 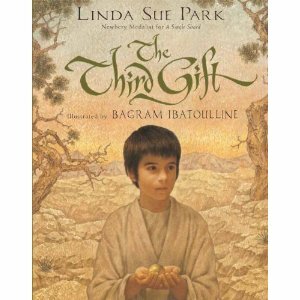 Once the students in our Newbery Club heard about the book, I haven't been able to get a library copy back. It is quite popular with our 5th graders. So, I ended up buying the Kindle version and read it that way. The UNWANTEDS is a great new fantasy. It is a dystopian type story of a place called Quill that gets rid of their "Unwanteds" each year. They get rid of those people that are not obedient, do not follow the rules, have thoughts of their own. And they get rid of them when they are 13 years old. They are taken out of the city to be killed. This is the story of one group of Unwanteds. It is a great good vs. evil story with characters and plot that will hook a variety of readers. It definitely feels like a classic and the story will appeal to a variety of readers. I am always looking for great new fantasies and this is one that I think will be popular for years to come. When I first read and chose this poem, I loved it while thinking small -- "One day after another" this weekend, or this school year. But when I went to look for a picture, my eyes gravitated toward the ones I took last week (only last week/already a week ago?) at the Field Museum in Chicago. Then "One day after another" expanded, and I remembered the feeling of minuscularity I got when I walked through the scientific creation story of our planet. The improbable perfection of our planet is quite overwhelming when you slow down and study how everything fits. I also chose today's poem to honor the march of time since last we queued up for hosting the Poetry Friday Roundups. Is it really possible that six more months of weekly bloggerly camaraderie around poetry have gone by, "one (Fri)day after another"? Indeed so. If you'd like to host one of the roundups in 2012, leave the date you choose in the comments. This will be our record of "first ask, first get." I'll update the calendar throughout the day (and probably the next couple of weeks), so check before you ask. Heidi has the roundup today at my juicy little universe. 27 Jim at Hey, Jim Hill! 11 Irene at Live. Love. Explore! 18 Katya at Write. Sketch. Repeat. 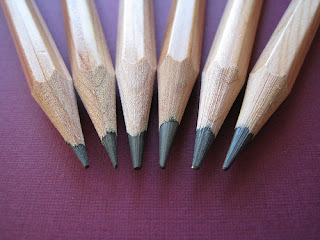 "Drawing is never a practice. To draw is to see and discover." "Painting is a kind of writing, and writing is a kind of painting--they are both about seeing." 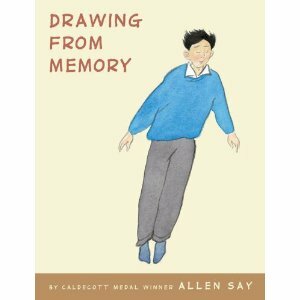 DRAWING FROM MEMORY is the amazing story of the earliest years of Allen Say's journey as an artist. It is the story of his relationship with his master, the man who become more than an art teacher to him -- the man who became his spiritual father. Liberally illustrated with sketches and photographs, this is a book to read and re-read. This is a fantastic book to compare/contrast to Allen Say's -- a life framed by an early love of art, by family, by war... 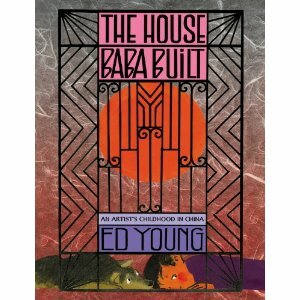 Whereas Say's book is a tribute to his teacher, Young's is a tribute to his Baba and to the house that unified his family. Say's book is INFLUENCED by his early training as a cartoonist, and reads more like a graphic novel, with clean lines and a crisp white background. Young's is painterly, with thick pages, collages of paint and chalk and photographs, and lots of gatefolds to open and explore. Again, it would be fascinating to read this book along with a collection of others Young has illustrated to explore how these early years made him into the artist he is today. 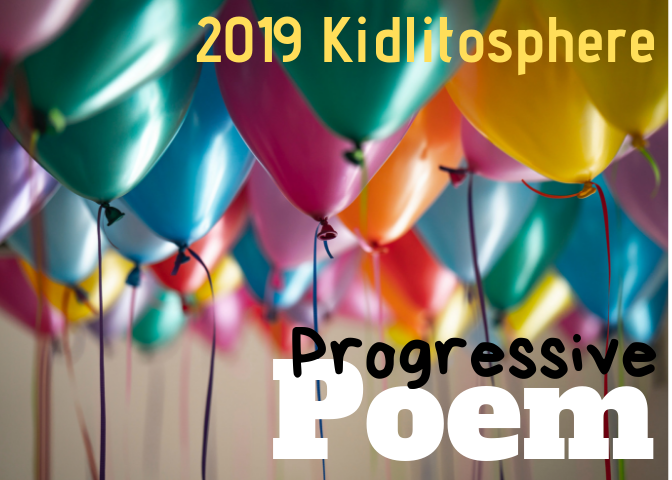 Tabatha has the Poetry Friday Roundup at The Opposite of Indifference. My lateness to the Poetry Friday Party this week is due, not to indifference, but the "opposite of indifference," which in this case is the overwhelming press of Life as I got ready to come to NCTE in Chicago. Today has been an Extraordinary Poetry Friday, spent in the company of lots of Poetry and Poetry Friday friends, most especially Heidi, of My Juicy Little Universe, to whom I dedicate today's poem pick -- one that found me as quick as I got Internet access (the secret code worked -- thanks, Patrick!) and started looking, and which seems to fit quite nicely with our chat this afternoon! 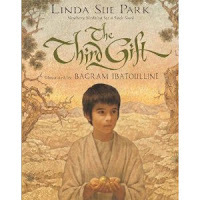 I opened this book excitedly because the author is Linda Sue Park, because the illustrator is Bagram Ibatoulline. I read, savoring every word, learning about the harvesting of the resin of a shrub native to the Arabian Peninsula. I was delighted to learn the name for the resin, and the reason that the boy's extra large "tear" of resin is chosen for purchase...and by whom. I'm not going to say any more. I don't want to spoil the surprise for you. Find a copy and read for yourself. I have been waiting for CROSSED for a full year. 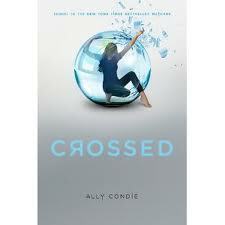 CROSSED is the second book in Ally Condie's MATCHED trilogy. MATCHED was a great book-a YA novel that I read and then both my 11 and 20 year old daughters read. We have all been looking forward to CROSSED and have had the date of its release on the calendar for months. Somehow, I was the first one in the house to get to read CROSSED! I finished it this week and LOVED it. I have to say, I didn't love it from the start. I was disappointed at the slowness and the quietness of this book during the first half, I kept jumping on Goodreads to see what others had said and was not surprised at how many people saw it as so much different, and less engaging than the first book. But, then I got to the last third of the book, and I now realize I love this book even better than MATCHED. A conversation on Twitter helped me mid-book. Katherine (@katsok) had finished the book and tweeted, "Liked the second 1/2 better than the first 1/2. Also enjoyed the journey of each character." When I mentioned that I wasn't liking Ky during this part of the book, she said, "Aw, I still loved him at the end. Both Cassia and Ky are flawed at times. Need to figure out who they are." And Katherine was so right. I realized soon after that twitter conversation that CROSSED is one of my favorite kinds of books. It is a book about character and characters' personal journeys. I think MATCHED was such a plot-based book that I was reading this one as the same kind for a while. But when I realized that plot wasn't the key, I read for character and I loved it. In this book, Ky and Cassia are on a journey. A physical journey. But each is also on a personal journey-one that helps them live out the stories of their lives--a journey that lets them be truthful to themselves about those stories of their past. There are so many lines I wanted to mark in this book--lines that were hugely powerful/ This is a book of growing and a book of choices. I don't want to give much away, but now that I finished this book, I realize that it is actually a much deeper, more intense book than MATCHED was. We learn more about the characters and who they are. We have different hopes for who they might become. That is huge for me as a reader. There is still a good plot and definitely a cliffhanger ending but thinking about it, the book is about Ky and it is about Cassia--who they are together and who they are apart. When I finished MATCHED, I loved it and was happy to pass it along. But when I finished this book, I wanted to talk to others about it. Condie left us with so much more to think about in this one. So, if you've read MATCHED, know that this is a different read. Know that you might be disappointed during the first bit of the book. But also know that it is worth it because it is no less of a good story. You will come out of the book knowing and understanding each character so much better than you did before. And you'll have lots to think about--so many ideas that Condie has planted about growing and changing and crossing over to who you are. (brilliant title on so many levels, I think) And when you close the book, you will again hate the idea of waiting a full year for the final book in the trilogy! What a LONG wait! Ally Condie has a great blog tour with more insights into the trilogy. The tour posts are listed on her site. I am so looking forward to hearing Joyce Sidman speak at NCTE this week. She's the featured speaker at the Children's Literature Assembly Breakfast on Sunday and one of the poets speaking at the CLA Master Class on Saturday afternoon. I will have the chance to meet her in an informal gathering as well. I'll try not to swoon. Her new book, SWIRL BY SWIRL, is a rhyming picture book that explores the many things a spiral does in nature. Each page has Beth Krommes' characteristic wood engraving illustrations (see one here, on Beth's website). SWIRL BY SWIRL is a gorgeous, thought-provoking book. 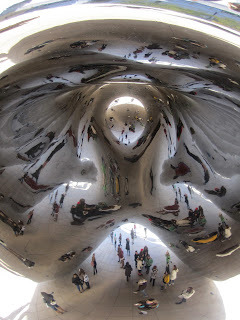 I will connect the spirals in nature to the spiral of time found in Steve Jenkins' book JUST A SECOND (reviewed last week) and GROWING PATTERNS: FIBONACCI NUMBERS IN NATURE (reviewed last year). This is my fourth year as an elementary librarian after 21 years as a classroom teacher. I enjoy lots about the job of a librarian but one of my main frustrations is the limited time I see students. We are on a fixed schedule so I see each class for 45 minutes every four days. When I started the job, I knew it would take 2-3 years to really build a program and I have to say, that I think that the library is a great place to be. But I don't often take the time to realize what is happening and I really don't always even notice. With 400+ K-5 kids, it is so easy for me to focus on what didn't get done in a week and how much more we wish we could do. This week, I decided to stop and take a breath and notice the little things that were happening in the library. Buffy Hamilton often reflects on her library in this long-term way and I thought this might help me see things more clearly so that we can move forward. Some 3rd graders are working on book trailers. It is not an assignment--just an invitation for those interested. As a group, we've studied book trailers and I've shared the process I have used in my own creation (much harder than I could have imagined--more to come at a later date...). In the process, they are learning about quality writing of book reviews, finding copyright free photos, using and editing imovie choosing sound that matches feel of book, and more. Kids are learning lots and I think many will choose to create book trailers for our morning news show and for our website. I am getting ready to begin to introduce Diigo to our 4th grade students. Diigo has a new educator account with privacy settings for students. There are so many options for student research and nonfiction reading with this social bookmarking tool. Excited to jump in. A few students helped me figure a few things out with it this week and they were all excited about the possibilities of the tool. It is fun to watch people when they discover a new tool and imagine what it can do. These 9 year olds said exactly the same things about diigo that I did when I discovered social bookmarking--they can't believe there is something that can not only organize their bookmarks, but also a tool that lets them share with friends and lets them access bookmarks wherever they are. 4th graders seem to be a good age for this since they understand bookmarking, online reading, etc. The Newbery Club has met twice but I touch base with kids in this group daily. They are in and out of the library trading in books and choosing others constantly from the JOG THE WEB list I created for them to browse. Many have finished 1-2 books on our list of 30 and they are thinking hard about these books. It is fun to see a few like WONDERSTRUCK and BIGGER THAN A BREADBOX being passed around from one child to another. We have 5 Kindles in the library. We haven't done much with them because of management but since I had so many Newbery Club students interested in reading THE UNWANTEDS by Lisa McMann, Since all of the copies are always checked out, I decided to add that book to our accounts and a few of the kids have chosen to read this one on a Kindle. We met for a while to learn about notetaking and highlighting features. It will be fun to see what they have to say about the experience. A child stopped me in the hall today to say, "Mrs. Sibberson, I don't know what is happening but I have been finishing a LOT of books this week!" as she flew past. Several students are using the Popplet App on the iPad to think through books. They are brainstorming thinking, ideas, etc. and are really pushing themselves. Since Popplet invites collaboration, many kids are working together to do this type of thinking. Kids are playing lots of games and learning a great deal in the process. Games we've added this year that have become popular are Qwirkle and Make N Break Junior. Next week, we'll add 4 Way Countdown. Set has also been extremely popular this year. We finally have several sets of games cataloged and with indoor recess happening more often now that it is November, kids are beginning to check these games out for recess time. Kids are excited about QR codes. I introduced them a bit and have them sitting around the room a bit. This week, I had 6 QR codes that extended thinking around BALLOONS OVER BROADWAY by Melissa Sweet. 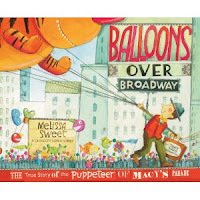 After reading the book, kids were invited to use iPods or iPads with QR readers to visit various sites if they wanted to dig deeper--Melissa Sweet's author site, an interview with the author about the book, the Macy's Day Parade website, and a video on how marionettes work are a few options kids had. We also have baskets with QR codes from past lessons that are available in the library. Kids are noticing QR codes out in the world and are bringing those in to share when they find them. It is fun to predict where online they might take us and then to test that out! Our kids are using building toys in new ways. Flexeez are a new building toy that has become popular. It is fun to see the level of sophistication grow as the time kids have with the toy grows. They are creating some amazing things. 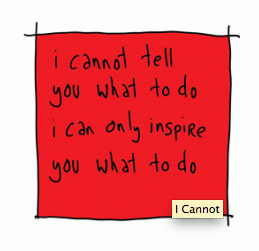 One of the things that is happening is that kids are beginning to share with others in new ways. After showing the kids the website I had recently discovered for Straws and Connectors, another favorite building toy, and sharing the "Instructions" pdfs, a few kids began putting together their own sets of instructions to designs they created. These will be posted online soon. 2 groups of students decided to create a series of podcasts for the younger students in our school. They are using Garage Band to create podcast read alouds of several books that will be posted on our website. The first few are basic but they have plans to include sound effects for the next one. Several book matches were made this week. One of our Wimpy Kids fans is reading WONKENSTEIN and is ready to begin recommending it by creating posters for the library. A 5th grader happened to pop in the library while 3rd graders were trying to figure out the loops on garage band as they thought ahead to their book trailer. The 5th grader took a few minutes to share the "tricks" that he knew with this group of boys. Plans were made for a future recess time lesson for the younger kids to learn more garage band tips from our 5th grade expert. We used Wallwisher to record questions we had about our online reading this week. Students loved the tool and saw lots of possibilities. We used Wordle to think about what we understood about research. Each of the 4th and 5th grade classes brainstormed words they thought of when they thought of research. We turned each set into a wordle. Then each group was able to look at all of the wordles to see how their thinking might change and grow based on others' definitions/thoughts about research. I had never used wordle in this conversation-starting way but it was a great way to build talk and connect ideas between classes. JOG THE WEB is a new favorite tool. I have used it to connect information for students. We now have a few kids who are beginning to create their own sets of sites on a topic. Our fall book fair was the biggest ever. Kids bought lots of books. And they bought good books. The way they are thinking about their reading lets me know that they are building habits of lifelong readers. They come in asking for authors, topics, books like another, etc. They have become very purposeful about their book choice strategies and that showed up at bookfair. One exciting thing that I noticed was that kids continued to talk about the books they purchased at book fair for weeks. Many new Pigeon stories began this week. A few kids chose to write new versions of the pigeon story and they are quite hysterical, as you can imagine. I love that young children will work for days over time on projects that matter to them. It is a funny place, the library. When you look around each day, the learning happening isn't always obvious. The learning in the library rarely stands alone. It is a place for kids to connect the learning that they do all day and to explore new interests. I am lucky to work in a school where kids have great opportunities in the classrooms and beyond. I am going to try hard for the rest of the year to focus more on all of the things that are happening in the library than on the things I can't get to. I am already looking forward to the next several months in the library. I can see that we are in a good place to move forward. Lots of learning happening when kids are invited to try new things. I love this poem so much. I love the world roughed out "even as it was planned." That is so the way I work -- thinking and planning (and revising the plan) and doing...all simultaneously. April has the roundup this week at Teaching Authors. I completely missed the NaPoPerDayMo for November (who am I kidding...there's no WAY I could write a poem a day this month -- it's crazy enough in April), but I could easily take part in the Teaching Authors' Ten Days of Thanks-Giving, which features the new poetry form, the THANKU (think haiku, guyku, dogku, twaiku/twitku), if for no other reason than "according to a recent study at Kent State University, people who composed short letters of gratitude reported a significant increase in their overall happiness." For the first few pages of this book, I felt REALLY slow. Steve Jenkins begins his book about time with a paragraph of information about the interval of time known as a second (an interval not related to any cycle in nature -- a human invention) and then pictures of animals or objects with a caption that tells how many of something they accomplish in a second. 20 hammers on a tree trunk for a woodpecker, 300 meters of a stoop (dive) for a peregrine falcon, Earth advances 18.5 miles in its orbit around the sun, a commercial jet covers 800 feet. At the beginning of the pages about the minute, we learn that it, too, is a human invention, based on a Babylonian counting system. 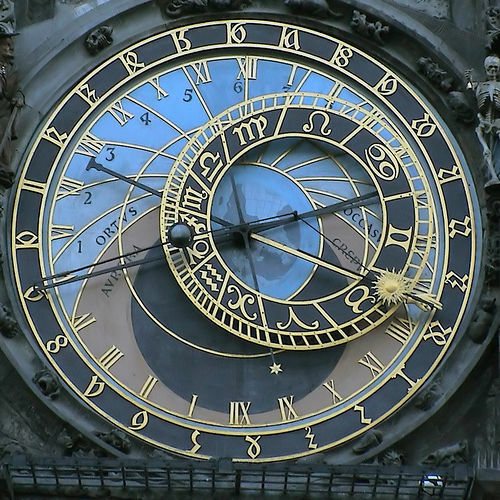 The hour we use, the one that divides day and night into twelve parts each, comes from the Egyptians. Days, weeks and months each get their own spreads of facts. They are based on cycles in nature. Jenkins ends the book with a spread of "Very Quick" things -- things that happen in fractions of a second, like the trip a major league fastball makes to the plate (4/10 of a second), and a spread of "Very Long" things (in 2,000,000,000 years, the Earth's oceans will have boiled away). Also in the ending are several graphics that I'd love to have as posters or handouts so that my students could look and think and wonder and discuss the information presented graphically (no explanation or descriptive text): the history of the universe shown in a Fibonacci spiral, the Earth's human population in a stacked bar graph that shows the growth every 50 years by continent, a chart of life spans of a selection of plants and animals, and a timeline of this history of time and timekeeping. I love to add new wordless picture books to my collection. The more I have collected, the more possibilities I see for teaching and learning. I used to think of wordless books for only younger students. But I have recently come to realize how much there is for older readers as well. As our world becomes more visual, what better way to think about the stories that pictures tell than with wordless picture books. 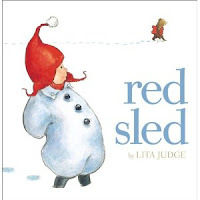 I was thrilled to discover a new mostly wordless picture book, RED SLED by Lita Judge. I didn't recognize the work as Judge's right away as it has a different look from many of her other books. I loved this one immediately because of the cover. (Well, it helped that the character on the cover of the book is wearing a RED HAT--seems to be the fashion in 2011 picture books this season:-) The cover drew me right in--a white background, a sweet child in a red hat and a bear with a sled in the background. But I think it is the look on the child's face that convince me I would love this book. Watching, grinning, pausing. So much going on in that little face. This story is great fun and will be perfect to share when we get our first snow. I can see this book as one kids will go back to again and again. So much to see in the illustrations and such a great story of wonder. There's so much to love about BALLOONS OVER BROADWAY for a nonfiction read aloud! It is a true story that needs to be told. Tony Sarg, while famous to puppeteers (one of Sarg's apprentices was Bill Baird, who did the goatherd scene in The Sound of Music, and one of Baird's apprentices was Jim Henson), has fallen through the cracks of history when it comes to his association with the Macy's Thanksgiving Day Parade. And yet, his creation lives on. I think a read aloud of this book would be a great opportunity to talk with kids about all the amazing things they might accomplish in their lifetimes...that will touch lots of lives, but never result in celebrity fame. It is inviting. In the classic Melissa Sweet style, there are large, bright, engaging parts of each illustration to be seen from afar, AND there are lots of fun details to be examined on a close-up rereading. Plus, it's about the Macy's Thanksgiving Day Parade, which has been known to (and loved by) generations of Americans. How many memories do YOU have of that parade?!? It celebrates tinkering. Tony Sarg was lucky. He grew up in a day and time when toys were mechanical, and he could take them apart to figure out how they worked. Kids these days need experiences with tinkering. I was reminded of this recently when a wave of "fortune teller" making passed through my class. (You know -- those origami devices that you stick thumbs and forefingers into and pinch this way and that, giving the player the option to make several choices before you lift the flap that tells their fortune?) Nearly everyone learned to make them, then improved on the design in their own ways, either with innovative fortune choices, or by making the largest or smallest ones possible. In our science curriculum, "tinkering" is know as The Design Process. As long as you PROMISE to make sure your students have the chance to USE the design process to create their own invention and then find ways to make it better, I will suggest that you read this book aloud in your science time in order to discover how Tony Sarg utilized the design process in the development of the Macy's Thanksgiving Day Parade. One more stipulation -- you are not allowed to do a first read of this book in science. You must first read it for enjoyment! Okay...pinky promise? Pinky promise. Now go get a copy of this book and share it with your class! See and hear Melissa Sweet tell the story of writing this book in this video. Jama Rattigan has a FEAST of a review, with an interview, images from the book, photos, links, and a give-away. Check it out! My older daughter "invited" me to watch the Youtube video, MARCEL THE SHELL WITH SHOES ON months ago. I couldn't help but laugh and love this character once I started watching. The combination of the visual, the voice and the humor drew me in. After reading the interview with the authors, I had even more insight into this phenomenon. Then I discovered that Marcel the Shell has a Facebook Page and a Twitter Account! And I just discovered that there is also a Marcel the Shell iPad/iPhone App! Seems like Marcel is EVERYWHERE these days. I think this is a fun example of all the ways we can enjoy a character and his stories. There are never enough books of funny poems in my classroom. 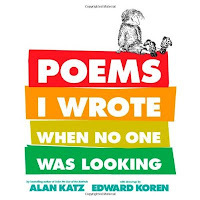 After I preview a couple from this book with my fourth graders, I'm sure it won't stay on the shelf long on Poetry Friday! Dad shot with a camera. My brother is so wacky. My brother is so weird. but he's got a milk beard! 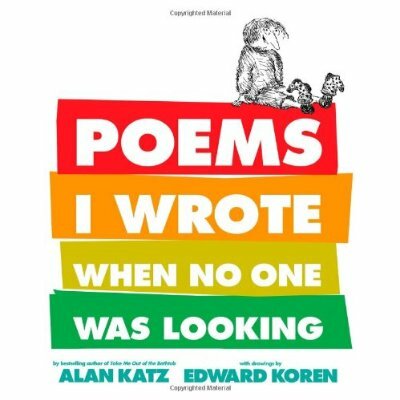 Audio interview with Alan Katz on Poetry4Kids. I had no idea another volume of Shel Silverstein poetry would be published posthumously. What a surprise when I opened the package that contained this book! The poems and art are classic Silverstein. There are no clues anywhere in the book that Silverstein has been gone for 12 years. Kids don't need to know that. But for those of us who grew up on THE GIVING TREE (1964) and WHERE THE SIDEWALK ENDS (1974), the first and last poems in the book are quite poignant. I hear you laughing--and I smile. 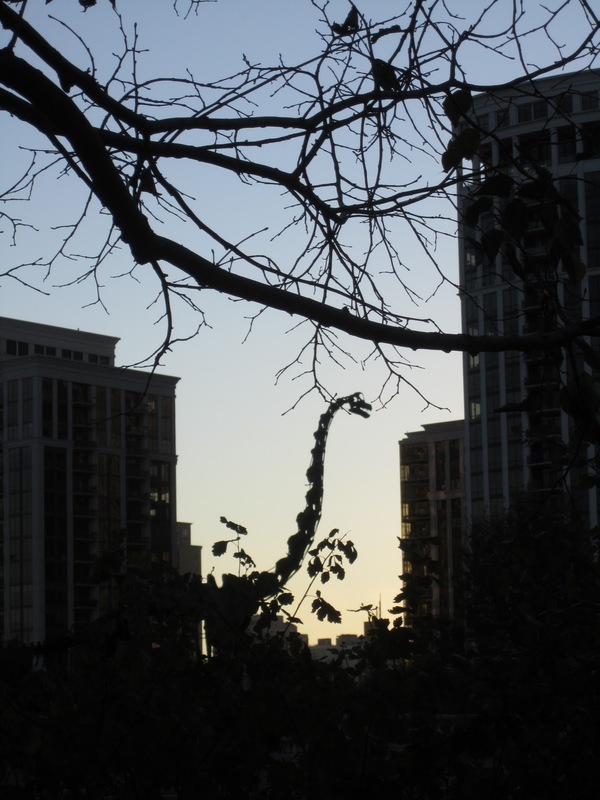 Laura Purdie Salas has the Poetry Friday roundup today at her spiffy new blog! Staying in bed and breakfasts across Belgium last summer really got me thinking about how different houses are around the world. Every B&B was narrow and tall, with staircases up to 2nd- or 3rd-floor rooms that were nearly unmanageable with our luggage. One of my students recently brought in a picture of her family's home in Mexico. It's a huge sprawling home, big enough to accommodate her extended family at different times of the year, and the landscape around it is dry and mountainous. Another student from a remote village in Bangladesh frequently draws his home there, carefully coloring the front door red. Home is important and personal and unique to each family and culture. 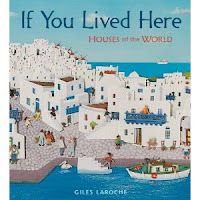 That's why IF YOU LIVED HERE would make a great nonfiction read aloud -- it can start conversations about the different homes we live in and see around us, and it can open our minds to all the kinds of homes people have lived in around the world at different times in history. This is a book that students will want to look at more closely after you read it aloud. 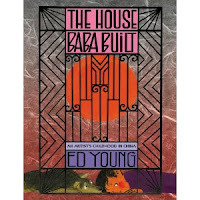 Every page has, along with a short paragraph of main text, the details of house type, materials, location, date, and one or more fascinating facts about that house. (No flipping to the back for extra information in this book -- NICE!) The illustrations are "intricate bas-relief collages made in many stages of drawing, cutting, painting and gluing." As you read this book aloud, you might want to have a map available to locate all of the places in the world where these houses are found. (There's also a map in the back of the book.) Another activity might be to make a timeline that shows when these houses were first built. Most date back hundreds of years and are still in use today! Finally, a discussion of how the environment where these houses were built affected the design and/or materials could help to build an understanding of how the setting in a story affects the plot. You can see some interior pages on Giles Laroche's website. So, I know I already blogged about how much I LOVE LOVE LOVE I WANT MY HAT BACK by Jon Klassen. But I had more to say about this book, so I thought I'd blog about it again:-) I forgot, in the last post, to add it to my BOOKS I COULD READ A MILLION TIMES list. But it DEFINITELY goes there. In four years, this one has been one of my all time favorite read alouds in the library. It is actually better every time I read it. For those of you on Twitter, you know there has been a lot of great discussion around this book. We have been talking nonstop for days about various ideas around this book. If you want to go back and see some of our conversations, you can search #hatback. The Twitter conversation has reminded me how important social networking is to my reading life. So many thoughts and ideas because of the smart people I talk to on Twitter. Here are some things I've learned because of this ongoing #hatback chat. It was funny reading it aloud to classes. A pattern I notice is that kids look at me like I am crazy when I tell them this is a funny book and then start reading--because it is not funny right away. Then there is an abrupt change in attitude where everyone in group looks shocked, looks at others, and starts laughing, collectively. It was pretty much a pattern in every class. One 3rd grade class asked me to reread it when they came back to the library this week. On the second read, kids started laughing on the first page. And they couldn't stop laughing. I found myself doing the same thing--the book seems to get more amusing every time I read it. I think part of this is the anticipation of the ending. But part of it was also noticing things about the bear after you know the ending. Noticing how hysterical the lead-up really is. Brilliant, I think. Colby Sharp and I share a book shopping habit. In one tweet, Colby said, "I just got back from the library. Placed #hatback cover out #teambear." I always thought I was the only one who did this. Going into a bookstore or library and putting a book I love face out on the shelf so others can find it easily. I love this and love the whole idea that when we love a book, we want to share it. We want to share it with people we know but we also want everyone to find it. I know what this feels like when you just can't love a book that everyone else in the world loves. You want to like it, you really do, but you can't. You keep going back to it--trying to love it, but you can't. We all have books we don't get or don't agree with the world about. This is what happened this week on Twitter. Jen (@mentortexts) just didn't see the humor. Her insights and empathy for the rabbit actually sparked some great discussion. And the conversation invited Jen to revisit the book and write about her love/hate relationship with this book. I think this conversation has reminded me, that it is these differences as readers that help us all read more thoughtfully. What would there be to talk about if we all had the same exact thoughts when we read a book? I've had a similar issue with the wordless picture book FOX AND HEN TOGETHER. Everyone in the world, except for me, loves this book. It has received starred reviews from many reviewers. There are sequels and fans everywhere. But the book disturbs me. I can't get over the idea that Hen is kidnapped by a "bad guy" and then somehow stays there to live happily ever after. For any 80s General Hospital fans out there, you may remember a similar storyline when Luke and Laura fell in love. I just can't get past that connection no matter how many times I've revisited the book. I get sad every time. But, others' insights have helped me understand a bit of what I missed on my own. Again, the importance of that community of readers. Sometimes a book is meant to be just plain fun. Kids at school have been talking about I WANT MY HAT BACK and I've shared some of my conversations around the book with a few classes. When I mentioned that some people really felt sorry for the rabbit, the looks on their faces were of pure sadness for that reader. They looked at me with eyes that said, "It was just a funny book, Mrs. Sibberson." I don't think this is one of those books that will change the way they live their lives. I think they get that this book is just silly and they love that. I've already heard adults saying things like, "Oh, I can use this book in my inferring unit." Sometimes as a teacher, we forget that some books are just really about joy and fun. This book was a big reminder to me about that. I don't like crafts around books. I am all about deep reading and thoughtful response. But who would not want to make a red pointy hat with rabbit (or bear) ears sticking out? Wearing one would be such a fun reminder of the book. A literary joke all day long. In terms of other crafts, I agree wholeheartedly with Lucy Calkins when she says she has never finished a book and had the desire to go make a diorama when she was finished. I have used her words over and over. But really, if someone asked me to make a diorama or a board game to go along with I WANT MY HAT BACK, I am thinking it would be fun. I already have ideas. And, I never got past page 60 in the Twilight series. So I never understood the shirts. TEAM EDWARD/TEAM JACOB. Seeing them in stores and on teens never made much sense to me. I didn't get it. But I am thinking I would LOVE to wear a TEAM BEAR shirt. Lots of others would too. Until then, I am happy to have a #teambear twibbon on my Twitter photo. If you have not already done so, you may want to hop over to Twibbon and support #teambear. (Thanks, Teresa! @trkravtin) Really, there is only one person I know of who is on the fence about #teambear. I still don't think we should ever assign crazy book extensions and I don't really think they help students understand books much better. But I do think there is something about literary jokes that we don't embrace enough in schools. School is a great place for literary humor that kids can be part of. Some books just beg to be read aloud and some books cannot be fully appreciated until they are shared with young children. I remember when DON'T LET THE PIGEON DRIVE THE BUS won the Caldecott Honor, some people didn't see the brilliance. I remember asking, "Have you read it to young children?" Mo Willems understands young children so well that every one of his books is fun to read aloud. Although I love them as much as the kids, Willems books beg to be shared with kids. I have had this experience over and over--a book I read on my own is merely OK, but it moves up to my favorites list once I share it with kids. Authors of kids books know young children well. And sometimes it takes sharing some of these books with children to see the brilliance. So, it's been a fun week or two thinking about I WANT MY HAT BACK with Twitter friends. I imagine the fun will continue for a while. It is definitely one of my favorite picture books of the year for so many reasons. Over the course of the next couple of weeks, I'm going to highlight some great nonfiction read alouds that I've come across recently. How did I miss this book when it first came out? The instant I read it, it jumped to the top of my Potential Caldecott list. This book does just what a picture book is supposed to do: the words need the pictures and the pictures need the words. There are only about 50 words in the whole book. They come in short phrases and sentences on each page or spread: "The darkness. The escape. We are quiet." The book is dark at the beginning, lit only by a sliver of moon and the stars, as the slaves steal away and are helped along. About midway, when the text reads, "We are tired," the horizon begins to lighten. In our darkest hour, after the longest journey, the light of hope and the hope of freedom shine through. The book glows with light at the end and the silence and fear and darkness on the front cover are replaced with hope and light and new life on the back cover. UNDERGROUND is deceptively simple. Not only would it make an excellent introduction to the Underground Railroad for young children, it would work in talking with older children about theme, and about the mood invoked with the use of color and the choice of words. Older readers already familiar with the Underground Railroad could think about the inferences and connections they make as they read, and they could brainstorm other people who work or have worked to bring light into the world, who have strived for freedom and justice. Here's another fabulous nonfiction read aloud. This one is longer -- about 100 pages, including full-page and double-page illustrations. Kadir Nelson's paintings and words show us and tell us the story of America from the point of view of African Americans. The voice in the narrative is a grandmotherly voice which engages and speaks directly to the reader. Students of American history need to read this book alongside the "official" story told in their textbook. They need to compare and contrast; notice what's been left out of the textbook and wonder why. This would also make a great nonfiction read aloud. There are twelve chapters. Read one a week and in twelve weeks your students will have a more complete understanding of American history.